OMG Posters! » Archive "The Escapist" Letterpress Art Print by Erica Williams (Onsale Info) - OMG Posters! 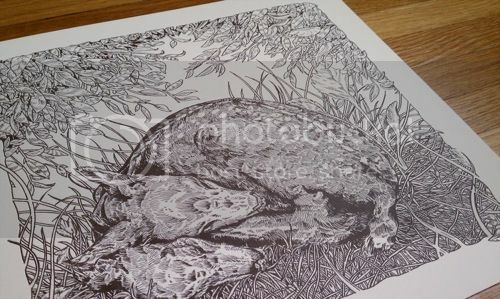 Erica Williams will sell another stunning letterpress print tomorrow. “The Escapist” is 12″ x 12″ and has an edition of 50. It goes up tomorrow (Wednesday, October 31st) at a random time. Visit her shop.